Fifty current and alumni Hunt Leadership Scholars proved SMU cares about the futures of young Dallas entrepreneurs at the Fifth Annual Capital One Kidpreneur Expo on Nov. 17. 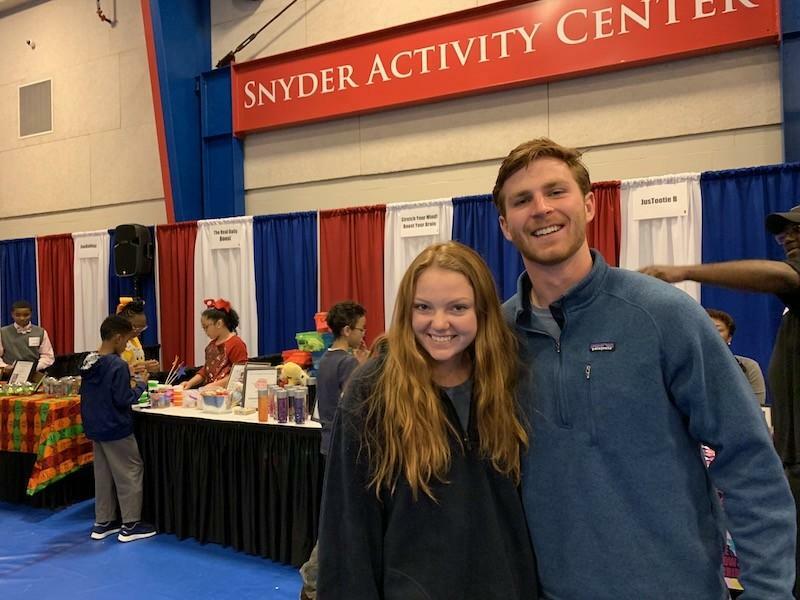 SMU Student and Hunt Leadership Scholar Hunter Kolon said that volunteering at the Kidpreneur Expo showed SMU’s heart for what lied beyond its campus. 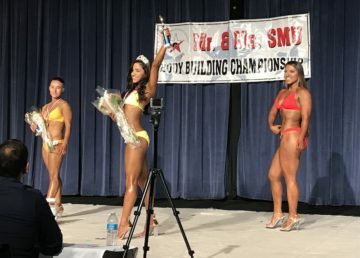 “I think it says that we care, not just about the SMU bubble and the SMU community, but we care about our Dallas community,” Kolon said. Current and alumni Hunt Leadership Scholars showed their investment in the Kidpreneurs through multiple service projects during the Kidpreneur Expo. Some of these projects included cleaning parts of St. Philip’s School and Community Center, gardening, and counting votes for cash prize winners later on in the expo. The Hunt Leadership Scholars also gave one-on-one time with the Kidpreneurs. Scholars listened to the Kidpreneurs’ business pitches and helped them sell their products at booths during the expo. 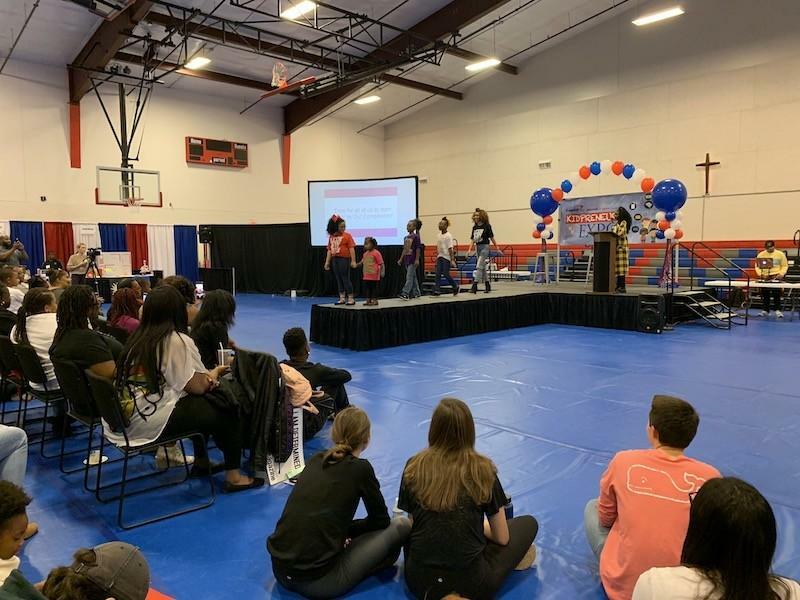 Director of Kidpreneur Expo Toni Patterson thanked the SMU Hunt Scholars for showing the Kidpreneurs how much SMU and the Hunt Scholars valued them. 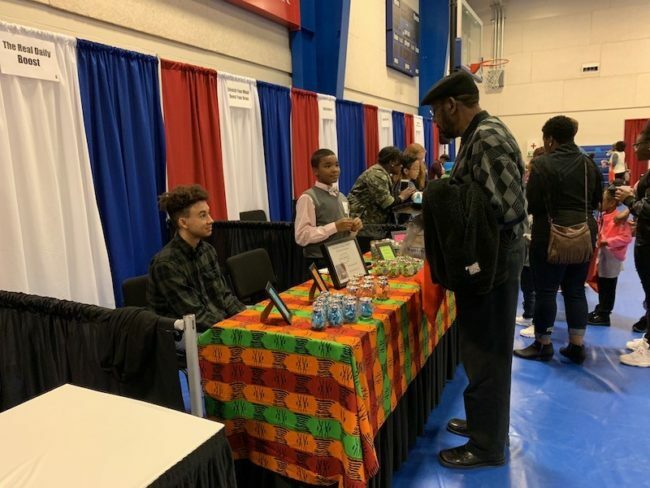 The Kidpreneur Expo celebrated young business leaders in the Dallas community. The festivities included an exposition featuring products from 25 Kidpreneur businesses, a fashion show, a dance party and various speakers. However, the Kidpreneurs weren’t all business. Scholar Paxton Murphy appreciated the Kidpreneurs’ ability to balance entrepreneurship with being a kid. The highlighted part of the Kidpreneur Expo was a spinoff of the entrepreneurial television show “Shark Tank.” In “Kid Tank”, 20 Kidpreneurs pitched their ideas and business plans to a panel of famous entrepreneurs for cash prizes and mentorship opportunities. The winning Kidpreneurs in each of the four age categories received $1000 for first place, $500 for second place, and $250 dollars for third place. The prize money came from various sponsors such as Capital One. Patterson said that she loved to watch the Kidpreneurs’ hard work finally pay off. 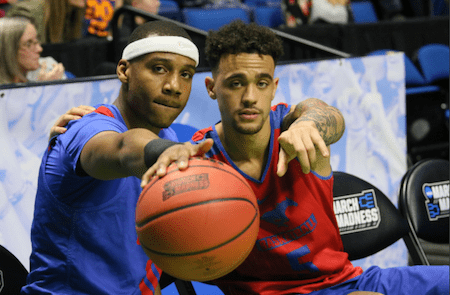 “It was just great to see them interact with the public and how they were able to explain their businesses and to be able to do all of those things, you know, at the drop of a dime,” Patterson said. Patterson wasn’t the only one who was proud of the young business leaders. The audience cheered for every Kidpreneur that pitched his or her business idea, and the room echoed with applause as each presentation ended. However, St. Philip’s School and Community Center was used to this level of encouragement. Posters with encouraging words and pictures filled the halls, and every staff and faculty member greeted everyone with a smile. St. Philip’s School and Community Center is a public community center and a private, Christian elementary school that teaches preschool through sixth grade. They serve over 3,000 families at their South Dallas location. SMU Hunt Leadership Program Director Lindsay Davis said she loves working with St. Philip’s because of how much St. Philip’s does for the surrounding community. 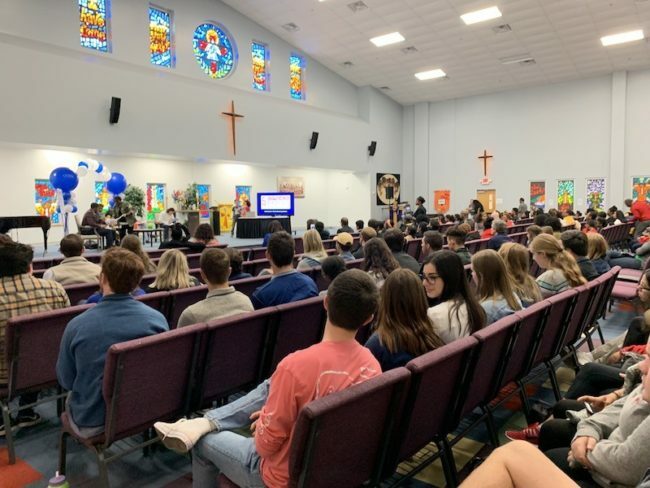 “I really love that when we go to St. Philip’s, we’re able to do things that make a direct impact in that moment,” Davis said.